Who doesn't love strawberry shortcake? Have some fun and throw in tart rhubarb and you now have a perfect and creative summer dessert! Great for bbq's, pool parties and forth of July festivities! 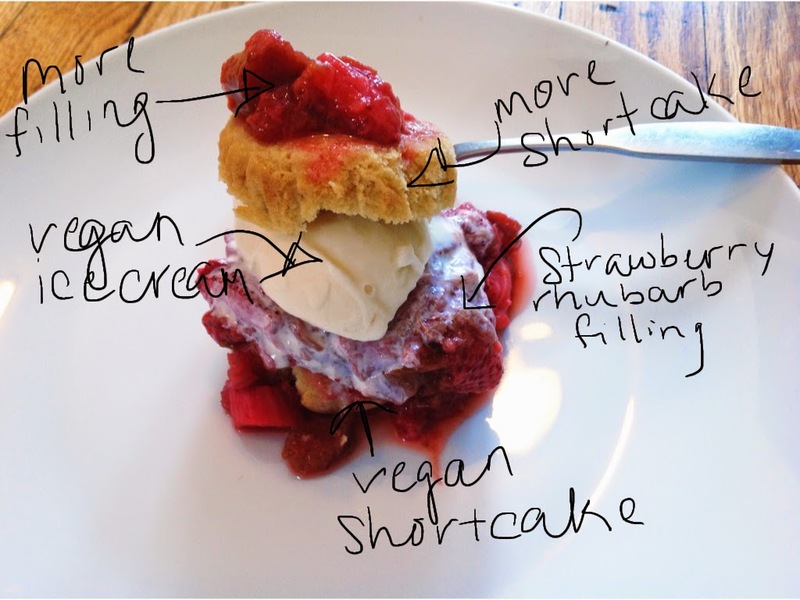 As for the shortcake, I used a great vegan recipe and cooked them in cupcake molds. This would be a great idea for a party and have a little DIY station for guests to create their own. 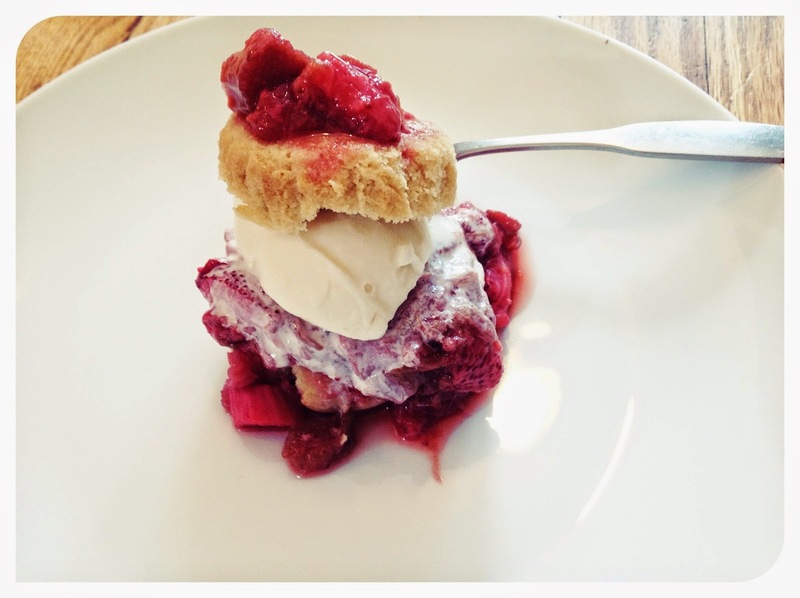 Have the shortcakes out, the strawberry rhubarb in a bowl, and vegan ice cream or vegan whipped cream in a cooler. You can even throw in some additional toppings to the station as well, get creative!!! Coconut shreds or chopped walnuts would be good! In a sauce pan, add in all the compote ingredients and turn on heat to medium-low. Stir frequently for about 5 minutes. 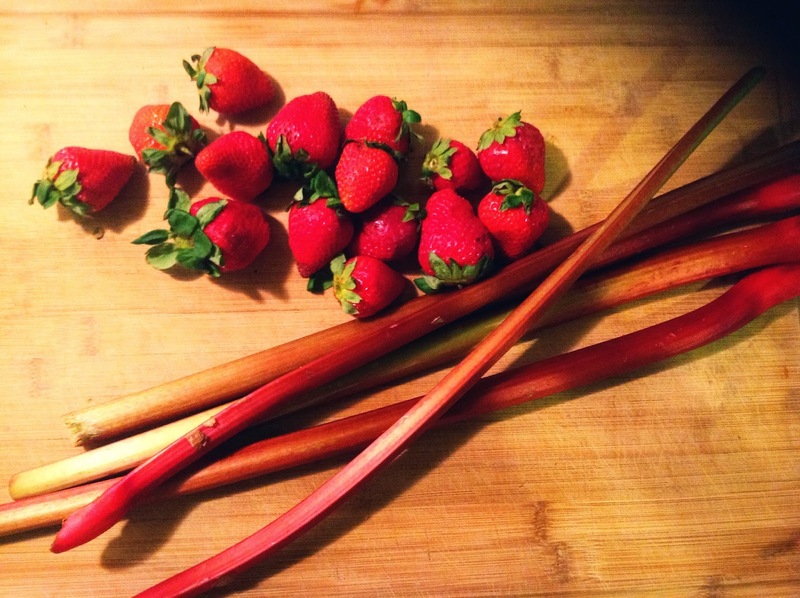 Turn to low and cover for about 10 minutes or until the rhubarb is soft. Add in more sugar if need be. Set aside or refrigerate until ready to serve. This is giving my beet hummus a run for its money! I didn't think I could come up with a better combo for hummus than that recipe. But now, I am not sure. I mean, this is flippin' fantastico! 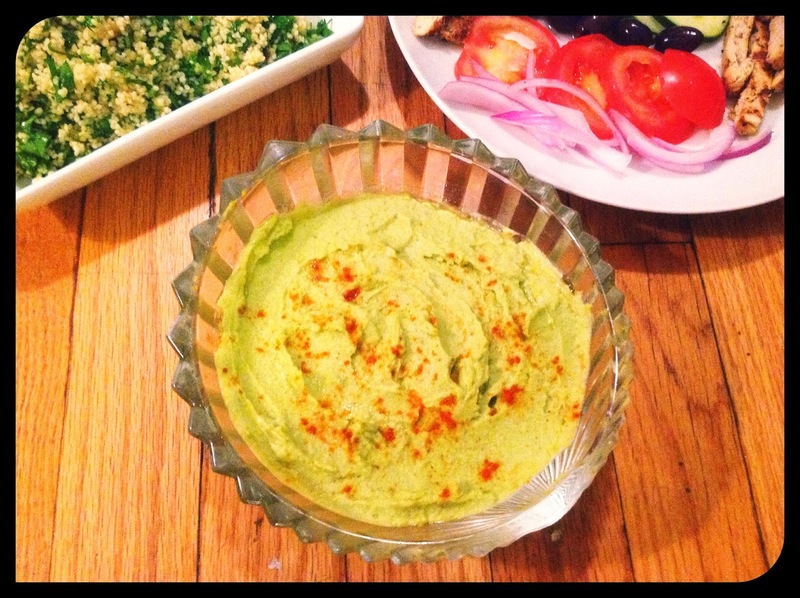 Basically this recipe is a traditional hummus recipe, but just adding a delicious and ripe avocado to the mix. The texture is tantalizing alone. And seriously, I highly doubt you can have just one bite. I could eat this with just a spoon....yeah, that's how good it is! And, if you are not a freak like me, try this in a pita sammy, with some falafel, or just with some veggies. Crowd pleaser for sure! Transfer all ingredients to blender. Add in more evoo if needed. Salt to taste and refrigerate until you are ready to eat your awesome green and creamy hummus! It has been a rough start to the summer for me. Torn pectoral fibers equals no work or strenuous activities for this little one. What a bummer! I guess this means more cooking..... and....back to being a puppy mommy. So this is a great, savory tofu dish that you cannot pass up! 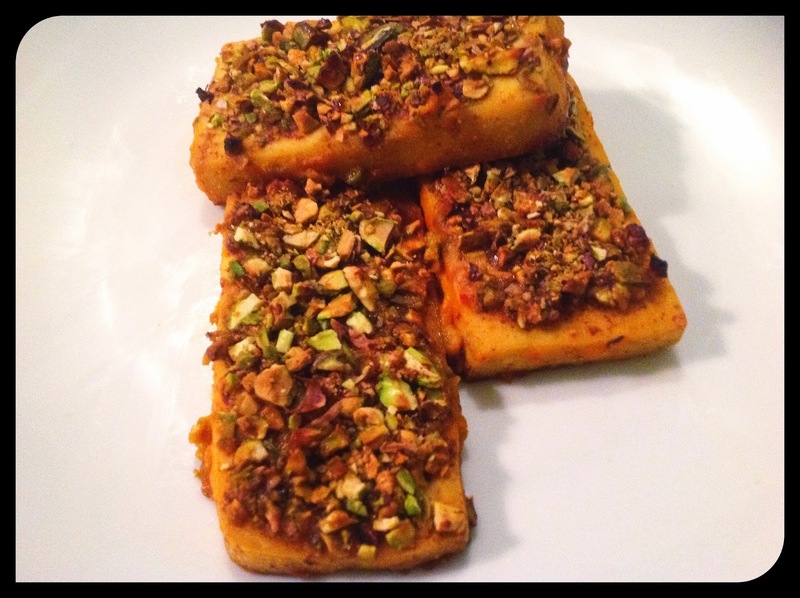 A little bit spicy from the dijon mustard, a bit sweet from the agave nectar and a salty crunch from the pistachios. You cannot go wrong. I would guess this would be similar to a crusted salmon dish, which is where I got the idea from I suppose. Best part is, this recipe only has 5 ingredients and is simple! 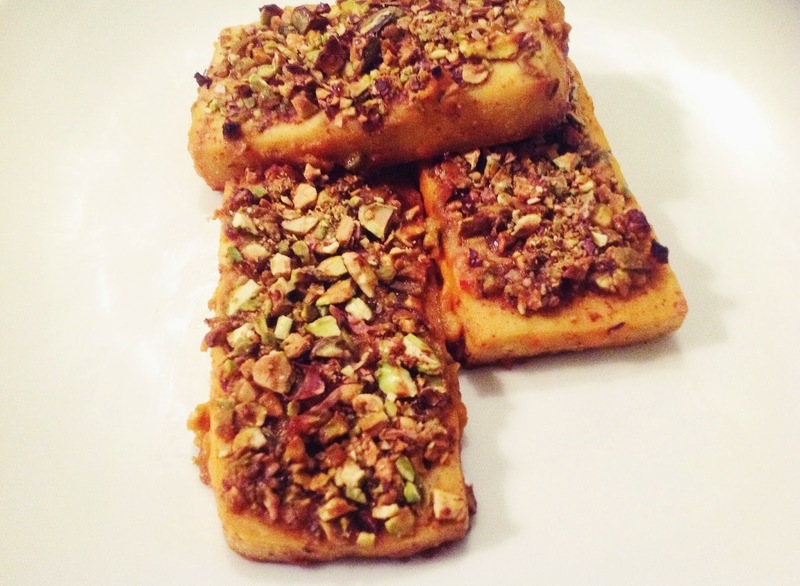 I loved loved LOVED the brand of tofu I used for this recipe! Wildwood Sprouted Tofu is by far my favorite tofu ever. It is super super firm, sprouted and has 14 grahams of protein per serving. So if you have yet to try this brand, scoot your tush to a Whole Foods or local Co-op and grab some! This was an afterthought after I baked this, but this would also be great on the grill, and smoking it on a cedar plank. So, if you are in the mood to grill, try it out! I would imagine it would be tasty as all heck! Preheat oven to 400. With a paper towel, pat dry the tofu "cutlets". In a small bowl, mix together the dijon mustard, agave mustard and tamari. Add salt and pepper to taste. With a brush, smother the tofu pieces with the marinade. 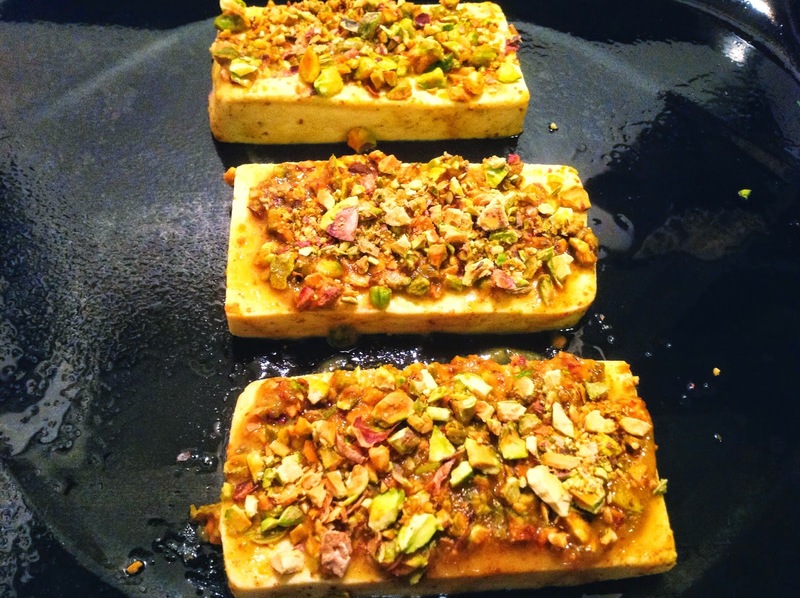 Now cover the tofu cutlets with the chopped pistachios and bake for 20 minutes. Enjoy!